Book a 25 passenger minibus for an easy way to keep your large group organized. If you don’t want to split your group among multiple cars and don’t want to rent a full-sized charter bus, this compact model is perfect for you. 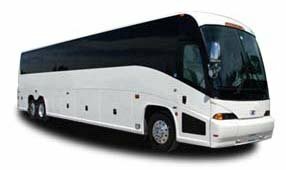 Trust Chicago Charter Bus Company for all of your group travel needs in the Chicago area. Between our network of over 3,000 buses nationwide and our experience in servicing a variety of events, we’re your top choice for bus rentals all over Chicago. Call now at 312-667-0906​ to reserve your bus today!